Yes, it’s that time of the year. Tomorrow is Valentine’s Day. Many of the card challenge blogs I follow, have love and/or Valentine as themes for their current challenges. At Cardz 4 Guyz challenge #188, our theme is “Something beginning with L”. I chose Love. So did some of the others in the design team, while other chose other L words. This is my last card for Cardz 4 Guyz. It’s been fun to be a part of their talented design team, but I want to free more time for other crafts so therefore leaving the team. This card is an example that things aren’t always what they appear to be, lol. I wanted a black and white striped paper for background. I didn’t have any, so I added stripes of black washi to a white paper. The LOVE chipboard letters had other colors, so I colored them with black marker. The heart was gray chipboard, so colored it with golden marker. The I and U were green (the only letter stickers I had in the perfect size). I tried to color them with white marker, but unfortunately the green still shine through i tiny little bit. The heart inbetween I and U was red with white dots, I colored it with white marker. As layout and inspiration for this card, I used MFT Sketch #371, and the photo at Time Out Challenge #102. List of other challenges I participate in are beneath the images. creamaria, February 13, 2018. 13 Comments on More Love. Category: Papercrafts. Tagged: 613 Avenue Create, A Gem of A Challenge, Allsorts challenge, Cards, Cardz 4 Guyz, Catch The Bug, Country View, Crafting By Designs, Crafty Calendar, Crafty Catz, Crafty Friends, Creatalicious, Creates and Makes, Love & Valentine's Day, MFT Card Challenges, Scrapping4fun, That's Crafty, The Crafty Addicts, The Sketchy Challenges, Time Out. January Blues, i.e. making blue cards, is the theme for Cardz 4 Guyz’ first challenge of the year, and here’s my card for it. “You are my” and the stars are stamped, while “Star” is Thickers. creamaria, January 20, 2018. 5 Comments on January Blues. Category: Papercrafts. Tagged: Cards, Cardz 4 Guyz, Country View, Crafting By Designs, Craftyhazelnut's Patterned Paper, Paper Creator, That's Crafty. For sketch #439 at Kortskissen, I made a clean and simple card with silver snowflake stickers. 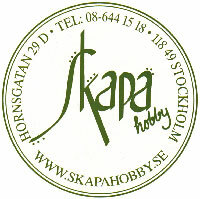 The Merry Christmas stamp is from Slöjd-Detaljer. creamaria, December 13, 2017. 11 Comments on Snowflakes. Category: Papercrafts. Tagged: Addicted to CAS, Allsorts challenge, Cards, CAS on Sunday, Christmas, Clean & simple, Crafting With Dragonflies, Crafty Calendar, Craftyhazelnut's Christmas Challenge, Creates and Makes, Kortskissen, Scrapping4fun, Slöjd-Detaljer, That's Crafty. Home } Papercrafts } You Rock! My fourth and last blog post for today, with a card I made a couple of days ago. It’s a cool card that I’ll send to a special friend of mine. 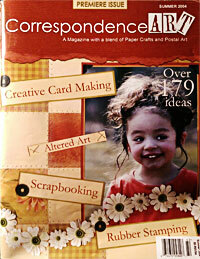 I have used papers from K-Designs, and various stickers (corners, borders, letters). 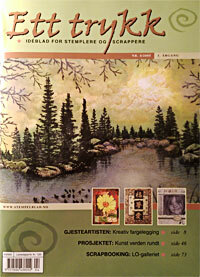 It’s my card for this week’s Kortskissen, sketch #410. As always, we’d love to see your take on the sketch. I’m submitting this cards to a few other challenges as well, se links at the bottom of this post. creamaria, May 23, 2017. 2 Comments on You Rock!. Category: Papercrafts. Tagged: Cards, Crafting By Designs, Crafty Catz, Creative Moments, Kortskissen, That's Crafty, The Male Room. Let’s move on from Christmas to spring. The sentiment on this card is Swedish for “Spring is in the air”. I first thought I’d emboss it in gold, but decided that copper embossing powder would make it stand out a bit more. The entire front of the card is from a paper from DCWV’s old collection Mariposa. I adhered a couple of stripes of thin glitter washi, and mounted the paper on copper metallic paper, then on a green metallic cardbase. I find taking photos of shiny blingy things is so difficult, but I tried my best. With it’s theme, this card is perfect for QKR Stampede Challenge #326 – Spring is in the Air. Also That’s Crafty – Bling It Up Challenge. For Just Us Girls Challenge #386, I had thought of going for both the butterfly and the lime green color, but I ended up using only the butterfly theme. creamaria, March 30, 2017. 2 Comments on Spring is in the Air. Category: Papercrafts. Tagged: Cards, Just Us Girls, QKR Stampede, Spring, That's Crafty. Even though it’s too late to send Valentine cards now, as it is Valentine’s Day today, I still made a card with hearts and a love greeting. 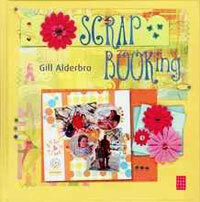 I have used scraps of various designer papers, and a clear stamp from Paper Smooches. creamaria, February 14, 2017. 5 Comments on Hearts on Valentine’s Day. Category: Papercrafts. Tagged: Allsorts challenge, Aud Sentiments, Cards, Crafting By Designs, Crafty Calendar, Creative Moments, Everybody-Art-Challenge, Love & Valentine's Day, MFT Card Challenges, Simply Create Too, That's Crafty, Through The Purple Haze.